RAPAPORT... Alrosa has unearthed a rough stone weighing nearly 200 carats from its Udachnaya pipe, its largest in more than two years, the company said Tuesday. The 191.46-carat stone, which is white with a slight yellowish tinge, was found earlier this month at the asset’s N12 processing plant. 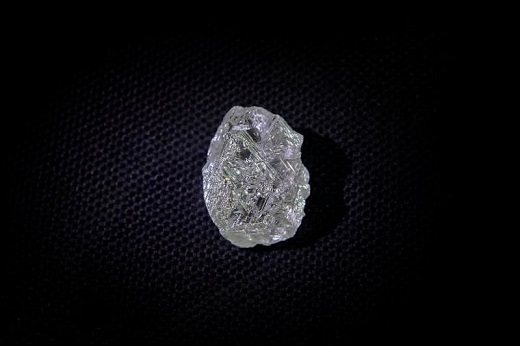 The Russia-based miner last found a comparably sized diamond two and a half years ago, it said. “Such large, gem-quality discoveries, weighing more than 100 carats, confirm that there are many unique precious minerals in the reserves of the Udachnaya kimberlite pipe,” said Evgeny Agureev, director of Alrosa’s United Selling Organization.